Let’s take a look at some of the most powerful Artificial Intelligence use cases across various industry verticals (that are in use today), with an eye towards revealing the competitive advantage of AI. Across industries that have been gold mines for AI investments, automated threat intelligence, automated customer services agent and fraud detection are the biggest. As per Jessica Goepfert, program director, Customer Insights and Analysis at IDC “Near-term opportunities for cognitive systems are in industries such as banking, securities and investments, and manufacturing….In these segments, we find a wealth of unstructured data, a desire to harness insights from this information, and an openness to innovative technologies”. In a similar manner, fraud detection is also on AI agenda. Perpetrators of fraud are smart and produce paper trails that look legitimate in the eyes of a human. AI, however, can assist in detecting something that humans cannot. Through AI, financial entities can detect suspicious entities- investigate them- thus, potentially preventing thousands of expensive fraudulent transactions. Copy-cats are common in frauds; this is where machine learning can offer a powerful means of preventing fraudulent activities in the future. Ai is going to have a significant influence on data science use cases in banking- same as it is going to affect finance, healthcare and pharmaceuticals. As most organizations have recognized the importance of big data, there is an unmet need for data scientists – an issue that AI can sort out. One of the best application of AI as of now is to perform the menial work of data analysis (that may be number crunching, finding flaws in investment strategies or a chatbot answering customer’s queries) – it is the economic solution to make everything run smoother, faster and at a lower cost. “Personalization at scale is the holy grail….by adding elements of personality insights or sentiment, touchpoints like email and web personalization can become contextually aware and can build on previous customer interactions” says Corinne Sklar, chief marketing officer at IBM consultancy Bluewolf. Retailers are doing everything in their capacity to provide a happy shopping experience to customers. This includes constantly improving on personalization. However, it all boils down to enhancing the overall customer experience. Karen Katz, President & CEO of Neiman Marcus Group rightly puts this in perspective. North Face, the outdoor clothing company adopted IBM Watson cognitive technology in order to help customers determine what jacket may be the best option for them. It bases its answers on gender preference, location, month, activity etc. For e.g. – Hiking in Canada in December will yield different results than commuting in traveling in Ireland in February. Another AI application that is finding increasing popularity is the conversational assistant. Whether it is through smart speakers, email, messaging platforms – marketers are leveraging new tools to have conversations with customers. To build stronger relationships with customers, brands are delivering hyper-personalized content and product recommendation through virtual assistants, chatbots etc. Furthermore, applications like chatbot and virtual assistants provide “relevance”, i.e. offer the right message to the relevant customer at the right time – a key part of building sales, customer relationships all the while minimizing marketing waste. Chris McCann, CEO & President of 1-800-Flowers.com (one of the first retailers to launch an Alexa skill) comments about possibilities AI could bring in retail “With voice as the main interface emerging, I think it will bring us back to the retail experience of our first flower shop where we delivered a true 1-to-1 relationship. Voice enables us to have a 1-to-1 relationship with customers on a massive scale”. L.L. Bean makes use of a Chatbot which asks visitors if they would like to login into their loyalty account- this chatbot which is “loyalty aware” links to the customer’s loyalty points and CRM data to personalize customer’s choices. The interactions between the bot and user are also recorded and saved back to the CRM system. Many retailers are using video analytics to improve customer service, security and compliance with employee procedures. Retailers need a system where they can examine customer behavior in ‘brick-n-mortar’ stores just like they use behavior tracking for online purchases. Artificial Intelligence can help retailers understand in-person shoppers. Data generated by retail observation can determine the customers’ product’s exposure level, engagement, their navigational route through the store. This information can help retailers improve store layout, in order to influence maximum exposure and increase the customer’s visit time. Sephora, the French cosmetics brand with retail stores of beauty products adopted video analytics technology that examined the digital video stream from the store cameras and counted the people visiting the store. Insights are gained from various reports (statistics, footfalls, periodic trends, peaks and valleys) help them prompt towards more successful strategies. Brands are utilizing Image recognition to understand customers’ preferences and recommend products that suit them the most. For e.g. Pinterest uses image recognition technology to look at an image and recommend similar content. In the context of retail, this capability enables brands to provide the customers’ access to their own digital “personal shopper”. “The use of Artificial Intelligence (AI) and particularly visual recognition will continue momentum in opening up new and exciting sales opportunities for retailers. For example, visual search for products will grow particularly via mobile and the monetization of eCommerce imagery via automated product tagging will bring new revenue streams in the future.” – Alex Vaidya, CEO & Co-Founder, StoryStream. IKEA uses image recognition technology to enable customers to take photos of images in the company catalog to retrieve useful information about the specific product-swap patterns, colors and even see how the final product would look like in homes. While the uptake of AI in the retail sector looks promising, it is noted that applications that have the highest likelihood of adoption are those that have the most possibility of a direct return on investment. Most companies, therefore are going to be very critical, safe and bottom-line focused when it comes AI adoption. Future AI innovations will be dictated by retail AI use cases that have already proven to be most effective. Overall, AI involvement in the retail sector for a long term seems inevitable. Consideration must be given to the impact of AI on the business- to make sure that employees and customers are all on board. Thus, to successfully implement AI, a balance must be maintained in between greater automation, and an equal emphasis on skill development (for employees) and people engagement (for customers). AI can re-design and improve healthcare in multiple ways. For e.g. it can assist medical professionals in designing treatment plans and finding the most suitable treatment method that is the best for the particular patient. It can help in carrying out tasks that are monotonous so that physicians can concentrate on their core jobs. There are already few great examples of AI in healthcare which show great potential. Mining medical records are one of those evident applications of AI in healthcare. Data management is one of foremost potential-showing AI application in healthcare. The first step towards revolutionizing the existing healthcare systems is to collect it, store it, normalize it and trace its lineage. It contains developing a natural language processing technology to automatically extract data from narrative medical records. Google Deepmind Health, is used to mine medical records in order to offer better and faster health services. It is able to process hundreds of thousands of medical information within a matter of minutes. Although machine learning and data-harvesting are at its initial stage- at the moment Google in co-ordination with Moorfields Eye Hospital NHS Foundation Trust is striving to improve eye treatment. AI can help in carrying out repetitive tasks which take away medical professional’s time from their core jobs. Tasks such as x-ray scans, CT scans, analyzing tests and data entry etc. can be done faster and more accurately by robots. Radiology and cardiology are two such disciplines where the amount of data for analyzing can be time-consuming and overwhelming and time-exhausting. IBM Medical Sieve is an ambitious long-term exploratory project which plans to build the next-generation “cognitive assistant” which is capable of analytics and reasoning with a vast range of clinical knowledge. Medical Sieve can help in making the clinical decision regarding cardiology and radiology – a “cognitive health assistant” in other terms. It is able to analyze the radiology images to detect problems reliably and speedily. AI chatbots use natural language processing to understand the user’s demands followed by knowledge management to offer an answer. Further, it uses deep learning to improve its response to each interaction. Sentiment analysis identifies the user’s issue and then transfers them to a human. In the context of healthcare, chatbots can fulfill various objectives like diagnosing the patient using the information given on symptoms. Your.MD – This Chatbot uses Artificial Intelligence technology to guide the user with most relevant information for better health and life. It provides the most accurate and simplest to understand medical information. Nuance Communications virtual assistant platform enables conversational dialogue and pre-built capabilities that automate clinical workflows. 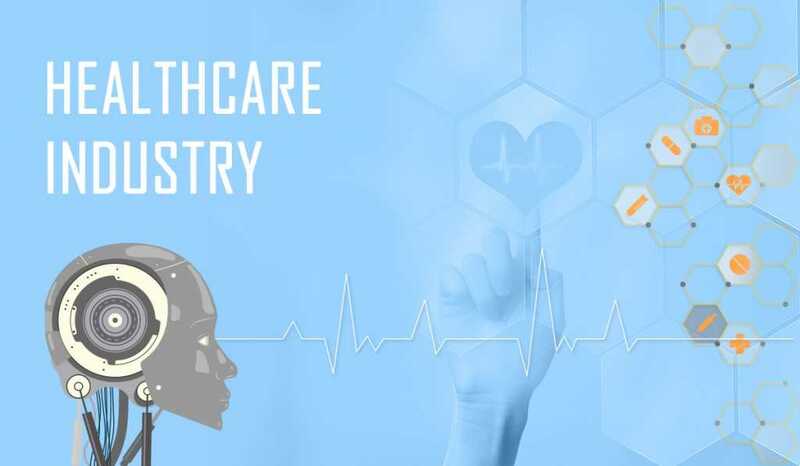 The healthcare virtual assistant employs voice recognition, EHR integrations and strategic health IT relationships, voice biometrics, text-to-speech and prototype smart speaker customized for a secure platform. AI systems have been designed to analyze data- reports and notes from a patient’s file, clinical expertise and external research, in order to assist in selecting the correct, individually customized treatment path. IBM Watson provides clinicians evidence-based treatment options. Watson for Oncology has an advanced ability to analyze the meaning and context of structured and unstructured data in clinical notes and reports that may be critical to selecting a treatment pathway. The program ultimately identifies most potential treatment plans for a patient integrating notes on patient’s life, research and clinical expertise. Development of pharmaceuticals via clinical trials can take more than a decade and cost a lot. Therefore, making the process speedier and cheaper is one of the main objectives AI startups are aiming for. Atomwise - Amongst the recent Ebola scare, an AI powered program for scanning existing medicines that could be redesigned to fight diseases was utilized. The technology found two drugs that may significantly decrease Ebola infectivity. This analysis, which would have otherwise taken months/years, was completed within 24 hours. This efficiency in drug creation has the potential to save thousands of lives. Even with big advancements of AI application in healthcare over the recent years, it is unlikely that technology will replace the diagnostic role of physicians- at least in the near future. Ai, however, is now sophisticated enough to take over the tedious repetitive tasks that used take up the productive hours of a physician. The potential AI holds in healthcare is endless- with professionals exploring the application of AI in areas like insurance verification, skin cancer diagnosis, medical record data analysis etc.- we are just beginning to realize the true depth of health-tech innovation that can be unlocked with AI technology. AI essentially processes a huge amount of data and then puts it to use. Currently, there is so much data involved in logistics chain that it is difficult to comprehend it all without the assistance of AI. With the application of algorithms, the processor is able to examine and store the data and then act, respond and intervene accordingly. AI also has the capability of analyzing past data and learn from it to enable businesses with better recommendations using predictive analytics. One of the possibilities that AI can realize in logistics is that of increased automation- for e.g. AI-powered robots used to automatically restock empty warehouse but also predict when they will run low. Even if this might be way off for most- one advantage of all the data analysis is the real-time information gained as well as complete visibility of warehouse stock. In fact, Carousel the leading provider of personalized logistics predicts that one of the biggest growth areas where the artificial technology will make noteworthy difference to the bottom line is the intelligent forecast systems and in providing value-added services more easily at a cost-efficient rate. Anticipatory logistics are grounded on predictive algorithms running on big data. This permits logistics professionals to improve efficiency and quality by estimating demand in advance- before the customer places an order. The foremost influencer for anticipatory logistics is the customer’s lack of patience with long delivery times. Customers always want their online shopping experience to be matched with the convenience of fast delivery. In this area, anticipatory logistics benefits all parties involved in the supply line – by anticipating demand, permitting businesses to spike up their resources before the demand shoots up. For e.g. 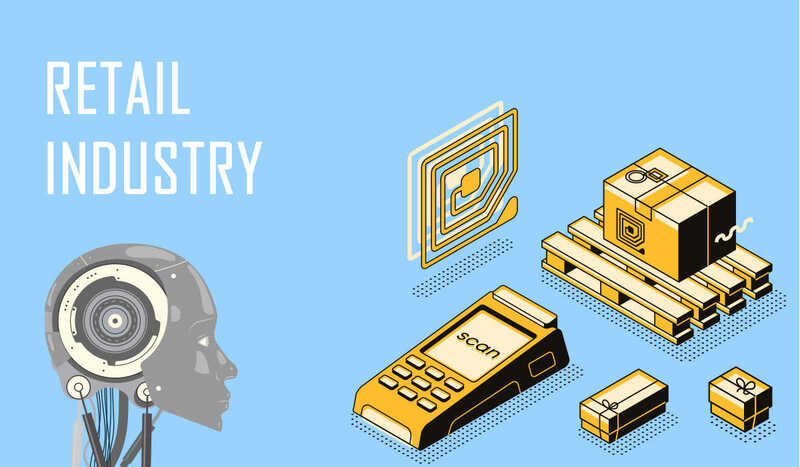 AI predicting that consumer demand for the latest mobile device model is going to rise – the manufacturer then will increase the production of that particular model accordingly. This, will in, turn inform the trucking companies in advance of how much transportation capability is needed to deliver all the mobile devices and when (date). The retailer will know to order adequate stock – to increase advertising efforts and display space on the store shelves and in general prepare for a boom in online shopping. Anticipatory logistics also serve well on the supply chain risk management front. AI tools predict maintenance needs and probable risks- quite similar to transportation/disruption management predictions. Manufacturing and transportation industries utilize AI technology to vehicle and factory maintenance. In such a case, predictive maintenance is based on the sensor data gathered from smart machines and vehicles. For e.g., KONUX, a Munich-based IIoT company – integrates smart sensor systems with AI-based analytics in order to monitor infrastructure and other assets’ condition and thus enable predictive maintenance. One of their solutions includes switch monitoring which assists rail operators in monitoring and examination of switch health. The system helps observe the progressing mechanical wear of switches and detect anomalies in time. This prevents railroad switch errors. “Machine learning uses massive computing power to recognize patterns in data that humans could never see, and then learns from every new piece of data it receives to get smarter and more accurate in real time,” says JOC.com. Machine learning (ML) or rather self-learning is a very familiar concept in industries like digital pattern detection, eDiscovery and sensor data analytics. 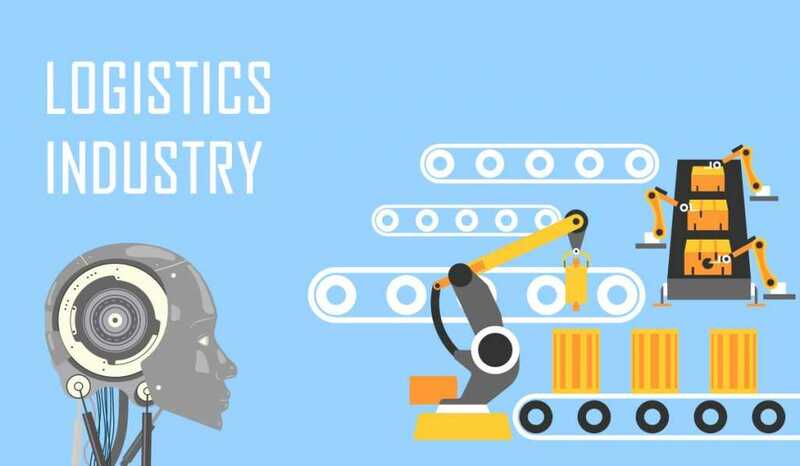 Even if the logistics industries have been particularly slow in the uptake of machine learning, other logistics intuitive companies are adopting self-learning systems. Machine learning leverages data across multiple systems and data sets. In the context of logistics – the system combines all the data in the carrier network with outside data sources like GPS systems, historical pricing performance and Federal Motor Carrier Safety Administration (FMCSA) to assist shippers more accurately estimate demand, examine trends in supply chains, track daily patterns within lanes and monitor seasonal calendars. Popular usage of ML and logistics are decoding ineligible handwritten text often found on the envelopes. In fact, post offices are already making use of these self-serving learning logistics- as are the big shipping companies like FedEx and UPS. A newer self-learning system that has been introduced is that of ‘intelligent warehouse management system’ like the Panasonic iWS. The company introduces the intelligent warehouse system (Panasonic iWS) as “a complete solution which includes surveillance cameras, data, network video recording, tracking software and your existing x-ray scanning technology”. These systems detect the trends and incidents, examine the data and connect the insights gained to specific entities like orders or customers and launch pre-pack instructions. NLP is a form of machine learning which is dramatically improving the efficiency of supply chains by speeding up the data entry process and auto-populating form fields. NLP integration with transportation management system (TMS) and email, text, chat and voice communication- the NLP systems observe and learn from these exchanges. After enough data feed- the system recognizes the behavior of particular users and begins to anticipate the users’ need by auto-populating the bill of lading, shipping orders and other transactions- saving the shipper’s time. Chatbots in Logistics can provide better customer engagement. For e.g. rather than going to the website of the Logistics Service provider to find the details of their consignment and feed the specific code (a complex combo of numbers and alphabets) all the customer will need to do need to do is open a simple chat window for the solution. Natural disasters, union strikes, highway closures etc. there are many incidences that can disrupt shipping schedules. This can cause a ripple effect and affect the entire supply chain. Thus, disruption management can avoid or at least alleviate disruptions by feeding data from the union activities, national weather service and transportation board, law enforcement etc. ML allows the users to train the AI engine with diverse contingency plans- allowing it to suggest possible solutions for likely disruption. Amadeus provides a disruption management solution which manages passenger re-accommodation for one or multiple flights. Named as Amadeus Passenger Recovery, once the scheduled event is received, it “proposes an optimal passenger recovery plan, rebooks services, re-issues tickets and EMDs, transfers bags and checks passengers onto their new flight. This process takes into account real-time flight availability (within the airline’s network and beyond), airline policies and passenger prioritization”. Machines learning models price predictions which is quite similar to automated stock trading software. The system takes account of historical pricing data for a variety of routes, goods and delivery schedules- then it cross-references them with the traffic, weather and then estimates the fairest price. AI analytics can track individual suppliers and report what type of cargo the transportation company carries and how much they charge. The broker filters the results in order to cross-reference the supplier types. For e.g. a moving company who deal with dangerous materials- (cross-references) with cargo security, accident reports and prices. While the broker may maintain personal relationships with suppliers, the AI tool enables the organization to smartly manage the supplier inventory rather than relying completely on the relationships or past history. AI has aroused interest not only because of its ability to increase efficiency and service customers at a lower cost but also due to its potential to create more agile business models – that are scalable and flexible to the continuously changing market needs. Up until now, logistic professionals had to rely on predictions (which were sometimes outdated) on inventory levels and static sales information rather than live data. Issues like these have been solved by AI which enables professionals to get the precise information of what is going on – thus discontinuing the dependency on guesstimations. AI offers great possibilities for efficiencies- while- customers too can enjoy fast delivery, reliable stock information, time-saving and overall a great user experience with AI-powered logistics and supply chain management. 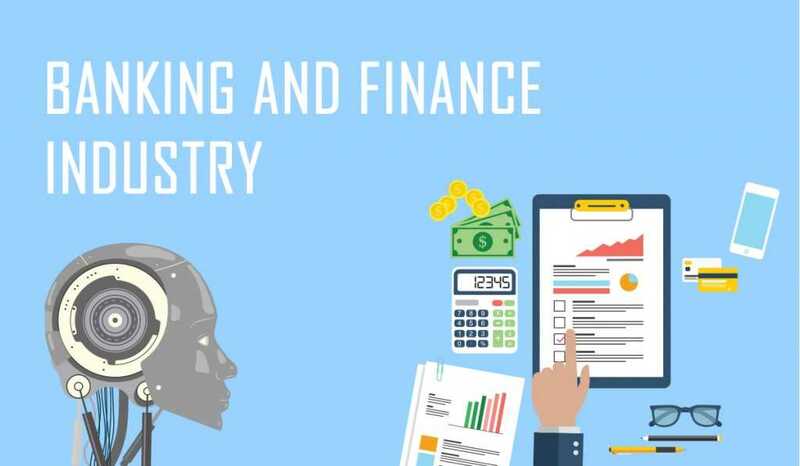 One of the most discussed technologies that have made a huge impact on finance industry as well as payment industry is Artificial Intelligence. It can safely be said that it is capturing the interest of companies worldwide. For e.g. Tesla, Facebook, Amazon, Apple and Google, all have already started investing actively in AI technology. AI covers a wide spectrum of technologies that work in payment services. “Artificial intelligence is likely to transform many industries in the next decade, including payments,” predicts Michelle Evans, Global Head of Digital Consumer Research at Euromonitor International. So, let’s see how if AI is making his predictions come true. Machine learning (ML) is especially important now than ever, in fraud detection as there is a significant shift to e-commerce and other remote “cards, not present” transactions where fast approval is needed- yet the customer’s physical card is not available for additional verification. Studies point out that such remote channels are primarily responsible for increased levels of fraud at US merchants – especially amongst larger companies. Plus, due to the significant change in immediate payment systems (which correspond to requiring faster identification of potentially fraudulent transactions), the importance of fraud detection is driven up. Using the Machine learning’s algorithm to derive insights into which correlation of variable lead to a fraudulent payment. The systems use rule-based logic to block the transactions that have the highest probability of being a fraud. Albeit, professional con-men are fast at detecting when their payments are being blocked and switch to a new merchant to continue their scheme. Combining the forces of ML and AI, historical data can be used to identify patterns associated with fraud and make quick adjustments to their algorithm’s and rule-based logic without human interference. Canadian travel agency Redtag.ca uses Distil Networks which weeds out the bad bots that are fraudulently reserving a block of seats on a flight to cause the price of the remaining seats to rise dramatically. Another example is that of the 3-D Secure (newest version) which is playing a key role in new e-commerce security product powered by AI. It is an additional security layer within its e-commerce fraud prevention platform which uses ML and AI to flag down the riskiest transactions that should be challenged in order to protect merchants from chargebacks and fraud. ML and AI can be used to optimize payments by dealing with one of the biggest issues regarding processing cards- i.e. authorization rates. Notwithstanding the rules and frequent compliance releases from schemes like Mastercard and Visa- getting a payment authorized – is more difficult than it seems. The merchants send their transactions to PSPs, who send it to the Acquirers, who create the complete message to send it to the Schemes and then they pass it the Issuer. There is 1 in 5 chances that the payment gets refused. It can show anything from ‘expired’ to “not honored’ as a reason for the decline. 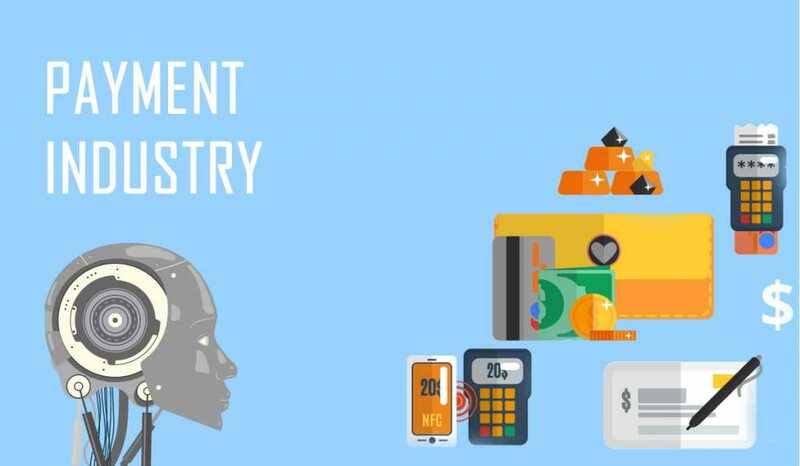 The situation remains that by using ML and AI, Merchants/ PSPs are able to learn from the submitted payments and estimate the success rate depending upon the category of card type, transaction, issuers, merchant’s country and other parameters. Therefore, by optimizing the route, (i.e. the transaction to the acquirer with the highest probability of success)- merchants/PSP can increase their authorization rate. 3-D Secure 2.0 improves the authentication possibilities that enable merchants to move closer to frictionless checkout experiences for their customers- with improved security and new intelligent risk- based possibilities. Another area of payment services where AI is utilized, is for marketing- which gets quite an attention but is not as developed as one might think. Many payment service providers have used AI to make predictions grounded on customer’s behavior- using them to push certain products/ services that will help customers manage their finances. CrossCues uses machine learning and AI to enable their clients to understand, anticipate and engage their customers. Equipped with data, they use their neural network (which is a computer system modeled off the human brain) which “makes a psychographic profile of a customer, advising the financial institution about what a specific customer or demographic likes and dislikes”. While there’s still a long way to go before we let AI-based tools and algorithms control our financial systems, the fintech sector is starting to use the technologies in diverse and creative ways. The crossover between AI and fintech comes at a stage where AI is creating disruptive technology for the consumer. Payments and digital transactions are key areas for successful integration of AI services to improve customer experience. Fortunately for customers, major industry players in the payment industry like PayPal, amazon, MasterCard and google have their eye on AI- their involvement in the revolutionary change may have a positive butterfly effect throughout the industry. It is through Manufacturing that we are able to transform a few pixels on display into tangible physical objects. By bringing AI into the mix, it is possible to deliver digital transformation to the physical world. 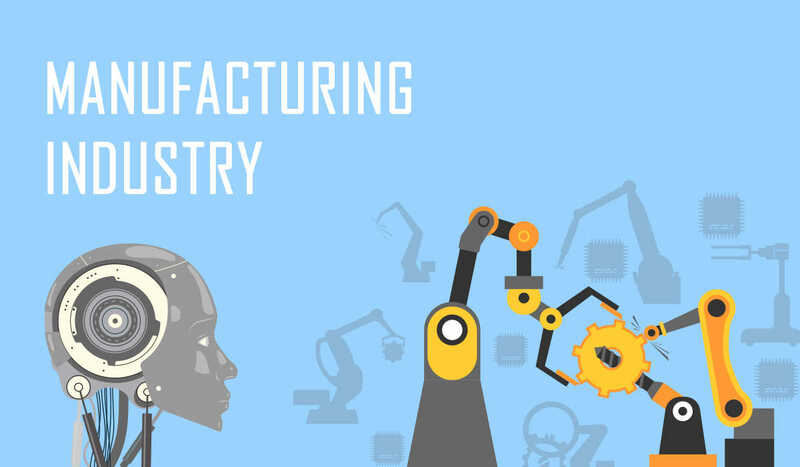 AI is furthermore well suited to addressing challenges that the manufacturing industry faces today. Issues like inflexible production line design, variable quality and yield, rising production costs, inability to manage capacity can be solved with AI capability. With the assistance of automated quality control, predictive maintenance, adaptive manufacturing and more, AI can develop solutions around controlling and automating, visual inspection, automated issue identification, calibration and tuning for large scale manufacturers. AI can shorten design cycles, optimize utilization of energy and materials, remove supply-chain bottlenecks, improve quality control and production yields etc. Adaptive manufacturing compliantly produces, develops and delivers demand-driven products, while optimally leveraging existing resources. In order for adaptive manufacturing to happen though, the manufacturers must seamlessly transmit knowledge for defining, scheduling and producing products in between their enterprise systems and shop-floor systems. Rethink Robotics, a US based company that develops robots for production and research environments advocated “co-bot” model. In this model, the humans and robots work cooperatively to produce the best results and efficiency. Even though industrial robots performed tedious tasks on assembly lines and heavy lifting, they are generally designed with the purpose of doing single tasks and require hours to reprogram. These smart collaborative robots are able to learn a multitude of tasks from demonstrations – just like human workers do. Predictive analytics as its name suggests predicts the future based on the functions of the past. It can calculate when maintenance is needed for cars, devices, trucks and drilling machines and then it can also schedule repairs and upkeep before a severe failure happens. Siemens launched Mindsphere in 2016, which it describes as “a smart cloud for industry- – allows machine manufacturers to monitor machine fleets for service purposes throughout the world”. By the end of 2016, they had also integrated IBM’s Watson Analytics into the tools offered by their service. The company, not unlike GE aims to monitor, record and analyze everything in manufacturing from the design to delivery in order to figure out the problems and solutions that people may not even be aware of. One of the many successes Siemens has enjoyed with AI is the improved (specific) gas turbines’ emissions, which has improved to a level than any human was capable of. “Even after experts had done their best to optimize the turbine’s nitrous oxide emissions…our AI system was able to reduce emissions by an additional ten to fifteen percent” commented Norbert Gaus, Head of Research in Digitalization and Automation at Siemens Corporate Technology. Siemens latest gas turbines have over 500 sensors that continuously temperature, pressure, stress, and other variables. All this information is fed to their neural network-based AI. Siemens claims their system is learning how to continuously adjust fuel valves to create the optimal conditions for combustion based on specific weather conditions and the current state of the equipment. More combustion results in few unwanted by-products. Underestimating or overestimating consumer demand can result in lost revenues- either in the form of lost sales or stagnant inventory. Rather than running reactively, connected consumer apps and IoT with industrial IoT can be depended upon for real time demand visibility. With the rise of smart home devices like Google Home and Amazon Echo, the consumer trends and behavioral data can inform downstream supply chain and manufacturing activities. Even if there is no whole end-to-end network right now (at least in operation), supply chain optimization organizations like Elemica already combine the business processes like order management, procurement, transportation sourcing and inventory management in a single convenient platform. Another e.g. is that of Amazon which controls consumer touchpoint like the Echo, manufacturing warehouses, fulfillment centers – are actively investing in order to the close the feedback loop for on-demand production. A speedier feedback loop empowers the factories to overcome low yields (percentage of units that pass the quality control), unplanned downtimes, low productivity etc. Nick Pinkston, founder of Plathora explains “Issues with low yield are most acute around high complexity products — like a laptop where there are a ton of various systems that need to come together perfectly for the product to work”. He furthers that productivity is not given priority against yield. The faster the manufacturer pushes the process; more likely he is to make mistakes and produce low quality output. “Better monitoring and adaptive control can allow you to increase the productivity of a single machine, and likewise better overall system monitoring and planning can allow the overall system to produce more product on the same numbers of machines” he says. Instrumental.ai leverages cameras powered by computer vision algorithms to triage defects in the products immediately (rather than relying on humans) and detect the root cause of failure. Doing anomaly detection on hundreds or thousands of units in seconds rather than hours- enables manufacturers to identify and resolve production failures before expensive postponements heap up. The manufacturing industry is already technically advanced using automation, robotics for years. That is why, unlike other fields where AI deployment can cause disruption, the short-term utilization of AI in manufacturing is more likely to look like evolution rather than a revolution. While faster training time, improved on-time deliveries, a decrease in equipment failures seem small, but when considered together their potential is significant. Meanwhile, in long-term, the total digital integration and improved automation of the whole production and design process can possibly open up a range of interesting possibilities. Customizations are rare and expensive, meanwhile, mass-produced goods are the long-standing model in manufacturing, since presently the re-designing cost of the factory line for new products is often excessive. Although customers are willing to settle for the mass-produced goods as they are cheaper if the technology for customization is cheap enough it can create a real shift in many markets. So, imagine, instead of shoes coming in just a dozens of sizes, they will come in an infinite number of sizes- each order customized as per unique fitting and shipped just as quickly. One of the trendiest topics in the legal field right now is a technology with the capability of simulating human intelligence and decision making and making it faster 10 times, i.e. the Artificial Intelligence (AI). The growing interest of AI in law is said to be slowly revolutionizing the profession and thus closing in on legal researchers, paralegals and litigators etc. AI companies are continuing to find new ways in which AI can be applied to manage the laborious tasks in different industries for better accuracy and speed. In the legal sector, the technology providers are trying to streamline work processes. 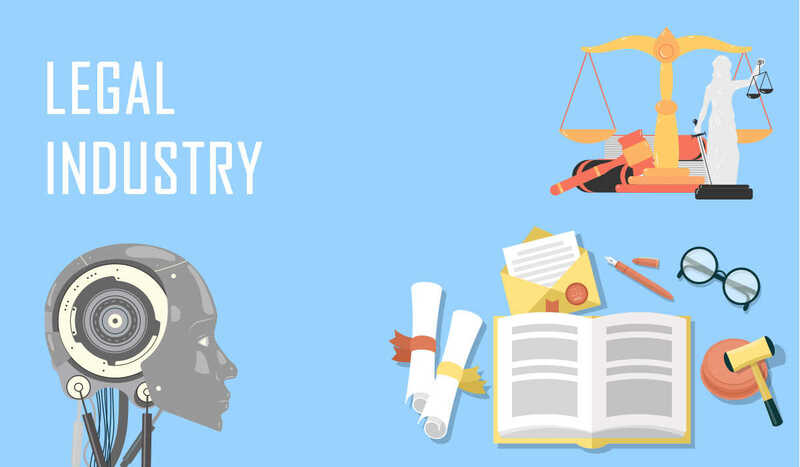 Breaking down AI’s current legal applications- we come to three main categories in which AI is applied in the legal industry – i.e. research, analytics and automating creative processes. “Due diligence is an investigation of a business or person prior to signing a contract, or an act with a certain standard of care. It can be a legal obligation, but the term will more commonly apply to voluntary investigations” explains Google snippet. It is one of the basic tasks that lawyers do on the behalf of their clients- which includes confirmation of facts and figures and thoroughly examining a legal situation. The due diligence process is needed for intelligently advising clients on what their options are- what action they should take etc. While a comprehensive due diligence can have a positive effect on long-term shareholder returns- the process can be time-consuming and expensive. Lawyers need to conduct an all-inclusive investigation for meaningful results. Plus, lawyers are probable to make errors while performing spot checks. For e.g. Leverton, a branch of the German Institute for Artificial Intelligence also utilizes AI technology for extraction of relevant information, management of documents and for compiling leases in real estate transactions. This cloud-based tool can perform the reading of contracts at the high speeds in 20 different languages. Another example of an AI technology for research purposes is ROSS Intelligence software which helps in legal research. The number of links, cases and information that is present in the research can overwhelm lawyers (especially if they have limited time on their hands). Lawyers, therefore can take advantage of the natural language search capability that ROSS Intelligence software is equipped with and ask questions, receive information like for suggested readings, secondary resources and related case laws. Automated contract analysis is already used by large companies- as well as by an online dispute resolution system that can assist in settling many cases in a more cost-efficient manner compared to in the court. Many studies indicate that knowledge work automation will be the biggest disruptors in the global economy. Many law firms have taken advantage of this technology by automating the process of document drafting using a software like the Perfect NDA. Neota Logic System is one such law firm using the automation software Perfect NDA- to shorten the Non-Disclosure Agreement (NDA) process via providing templates chosen by AI as per user’s scenario. The user answers the questions through which a pre-filled template is generated. Plus, the software also has features like document filing and integrated e-signatures in order to streamline associated manual processes involved in NDA drafting. Way back in 2004- a group of professors from Washington University had tested their algorithm’s accuracy in forecasting Supreme Court’s decisions on a total 628 argued cases in 2002. A comparison in between their algorithms’ result versus an expert team’s findings was drawn. The statistical model by the professors proved to be better at forecasting with predicting 75% of outcomes correctly compared to the 59% accuracy of expert’s team. For e.g., Premonition is litigation database which claims that it can predict a lawyer’s success by analyzing the lawyer’s winning rate, case duration and type- plus his pairing with a judge at an accuracy rate of 30.7% average case outcome. The company says that the product can assist in looking at different cases and the duration they will take for each attorney as well. It must be remembered, however (like any other analytics platform) that AI tools dealing with predictive technology need an enormous amount of data in the form of case documents to fully function. “The model itself is exceptionally complicated. It uses a total of about 95 variables with very precise weights (with almost precise values up to four or five decimal places), and each justice’s vote is predicted by creating about 4,000 randomized decision trees” says Vox of Premonition. One of the biggest areas where lawyer’s expertise is needed is while securing trademarks, copyrights and patents. The entire intellectual property application process though can be exhaustive and arduous. Traditional trademark and patent search comprise of looking into hundreds if not thousands of results through manual research. This is time consuming- meanwhile patent applications are time-sensitive. “Patent applications in the U.S. must be filed within 1 year of a public disclosure or an offer for sale of the invention or the invention is barred from obtaining patent protection” explains Scherrer, an intellectual property law firm. For e.g. TurboPatent’s SmartShell enables paralegals in improving efficiency by automating document reviews, drafting, formatting and detecting problems on patent applications. It uses AI and NLP (natural language processing) to aid in creating legal claims. According to TurboPatent, two paralegals from the Pacific Patent Group used SmartShell to do bibliographic research, examiner remarks review, document retrieval and rejection issues discovery. They were able to be up to 800% more productive in their tasks with only 1/5th of the time in comparison to their manual methods (to perform the same tasks). Electronic billing now delivers legal billing securely from law firms and other vendors directly to the desktops of in-house counsel. Providing an alternative to paper based invoicing – it offers “average savings of more than 22% in annual outside legal spending from improved bill review and 26% from budget tracking” according to the 10th edition of the Annual ACC-Serengeti survey of ACC members. Other than savings, it also reduces disputes on line items, proffers accurate client adjustments and accurate tracking and reporting (probably). There are others though that have criticized the technology, like Mark Herrman, a leading international law firm partner writes in his article, “automated systems that unthinkingly cut bills can lead to unintended consequences. For example, some corporate clients refuse to pay for more than ten hours of a single lawyer’s time billed in one day unless the lawyer is physically at a trial site”. While the software needs to be evaluated for possible adjustments, there are a few that have been using it successfully. For e.g. SmokeBall’s cloud-based legal practice management tool claims to “automatically records your (law firms) time and activities”. One of the major features of this tool is its ability to track all activities – which includes emails (only which are valid for billing). According to its website, it has automated 636,300+ forms, managed 10.5 million documents and 17 million emails. AI’s role in law and the legal profession is a peculiar situation, which is a bit of a catch 22. Since enhancing improving efficiency seems to be the most acknowledged benefit of AI tools the documents processing and detecting errors is sped up. This seems to be ironic since the legal market has long since depended on “billable hours”- therefore, it would be unlikely for lawyers to take less time in completing a task/ document. For this reason, only eliminating menial time exhausting work will not likely be strong enough reason to drive AI adoption. However, what is more, likely to drive up AI adoption, is the legal firms which will be more efficient and thus cost-efficient as a result of implementing AI offering low cost service to their clients. Thus, the remaining firms which do not have AI capability will discover themselves to be overpriced in the competition. Nevertheless, AI is making its way in the legal market– it will most likely back-up rather than displace legal professionals and it will draw it more into the legal service delivery. 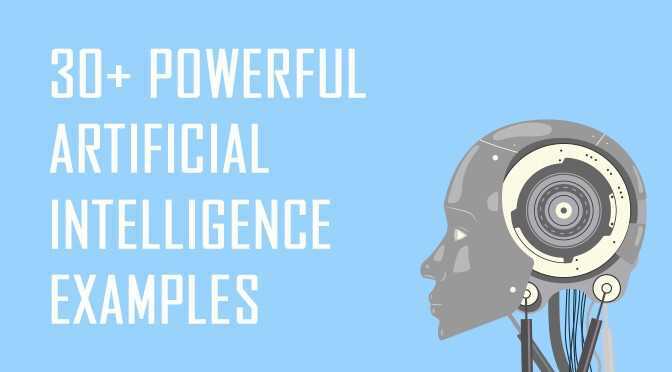 WHICH ARTIFICIAL INTELLIGENCE EXAMPLE DO YOU FIND THE MOST INTERESTING? Email at contactus@intelegain.com to let us know.